It´s important to get your daily dose of magnesium to help you stay on top of your wellbeing. To get you started, we have made a list of 10 delicious foods that are packed with this essential mineral. Magnesium plays a key role in a wide range of processes in our bodies, supporting muscle health, heart health and nervous system function. So how do we make sure we’re getting enough of this nutrient into our bodies? The good news is that magnesium is present in a lot of food sources, so adding more to your diet shouldn’t be too much of a challenge. Here are 10 of the top foods that are high in magnesium, packing plenty of the mineral into each 100 g serving. Nuts are one of the most magnesium rich foods. Brazil nuts are the most mineral-dense, with 350 mg of magnesium per 100 g serving. Other good choices include cashews (250 mg), peanuts (160 mg), walnuts (150 mg) and hazelnuts (160 mg). Almonds (260 mg) also come in at the top of the list with 260 mg of magnesium per 100 g, but did you know they are technically not a nut? They are actually the but the seed of the almond fruit. Nuts can be added to almost everything, like your breakfast granola, salad or oatmeal. There are also nut butters, which are delicious too. There’s a wide range of them now, so feel free to dip into a jar of ABC or peanut butter every once in a while. Seeds are another great source of great crunchy deliciousness to help you have a magnesium rich diet. Considering the amount of magnesium in each serving, pumpkin seeds are definitely the winner, with 535 mg per 100 g.
Other great sources to boost your magnesium intake include flax seeds (392 mg), sesame seeds (340 mg) and chia seeds (335 mg). One easy way to get a variety of these into your diet is to make homemade granola. 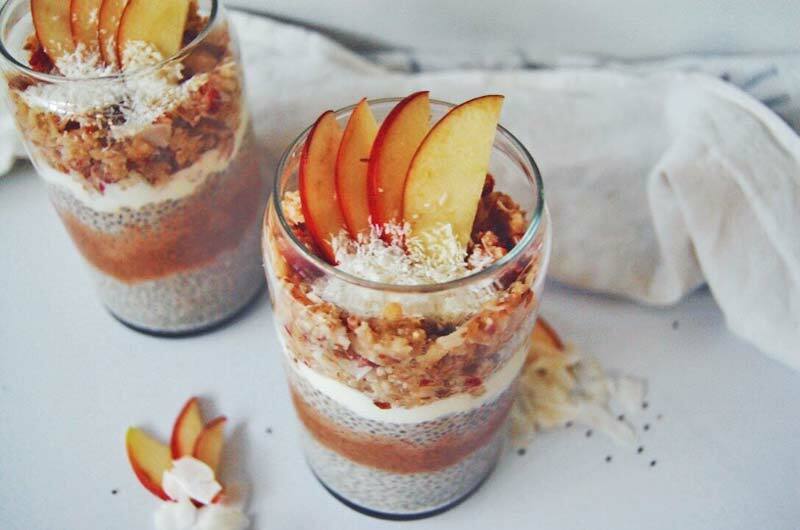 Combine all the seeds you fancy in a container, mix them with some oats, cinnamon and sweetener and you have a super healthy option for both meals and snacks. Or try our recipe for caramel rice puff bars. Made with pepitas, chia seeds and tahini they’re a wholesome snack for when you’re on the go. 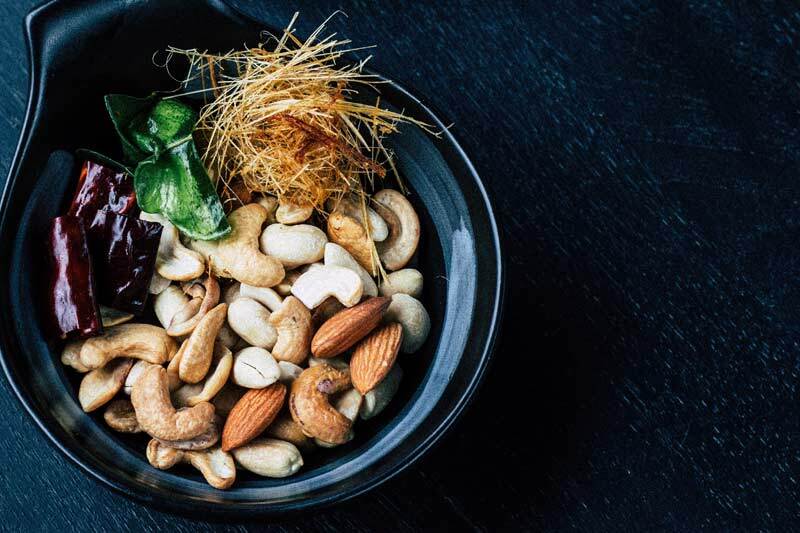 Nuts and seeds both contain healthy omega-3 fatty acids, which help support your heart health. Whole grains make it easy to add to your daily magnesium intake. 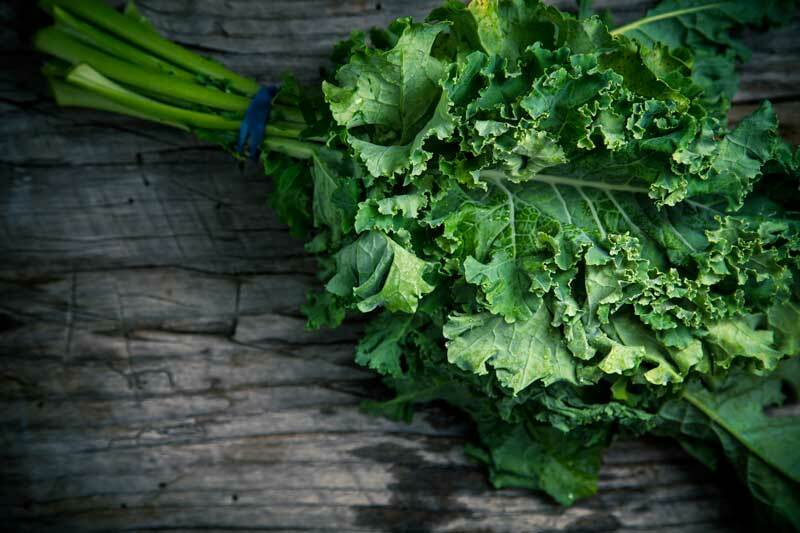 They are accessible food sources that can add that extra mineral kick to any meal. Compared to refined grains, whole grains contain the entire grain kernel: the bran, germ and endosperm. Varieties of whole grains include buckwheat (221 mg), bulgur (33 mg), wild rice (32 mg), whole oats (24 mg)) and wholemeal wheat flour (103 mg). One of the easiest ways to integrate these into your diet is to switch out every refined product for a whole grain substitute, e.g. flours, pastas and cereals. Refined versions will not make you feel satisfied and full after a meal. 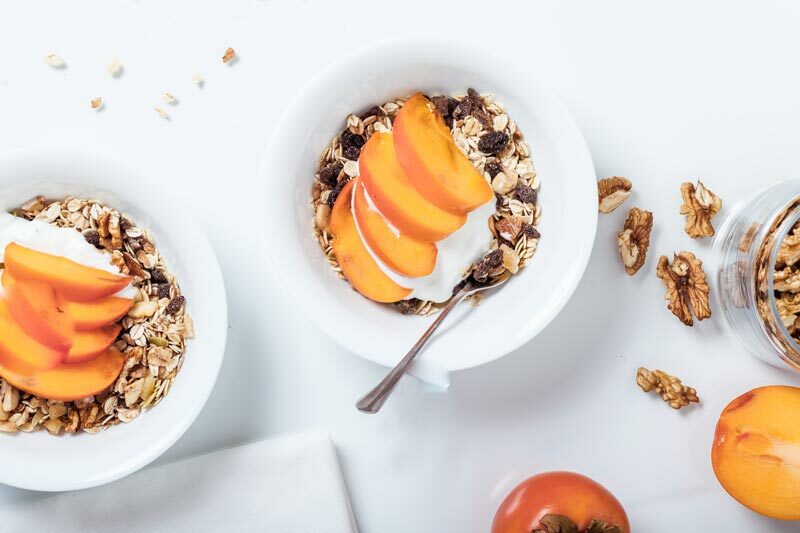 Make room for whole grains on your plate for lunch and dinner instead and add them as a long-term addition to your magnesium-rich foods list. I’s not about excluding things from your diet but more about making good changes over time to increase the amount of vitamins and minerals you are fuelling your body with. 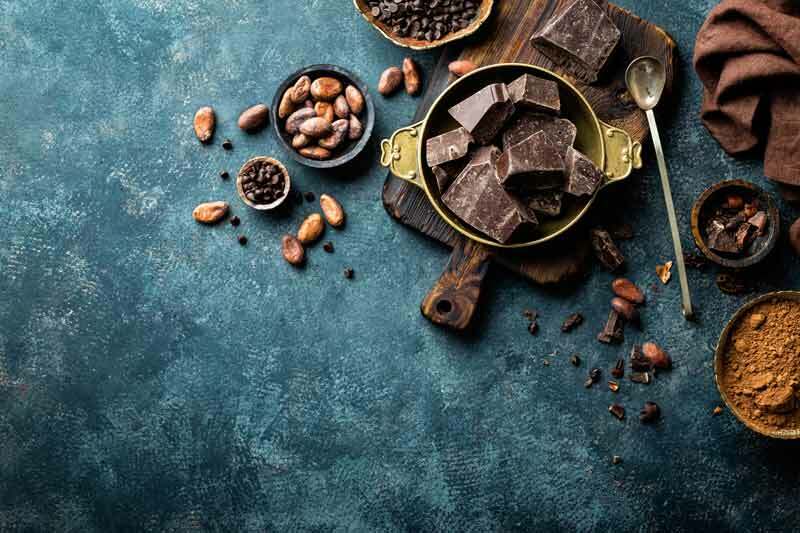 By choosing chocolate containing 70% cocoa or more (up to 120mg), you not only get extra magnesium, but some other benefits too. Dark chocolate contains flavonoids, which have antioxidant properties. Out of all the foods containing magnesium, raw cacao is the best source of all, at 507 mg per 100 g.
The ever popular kale (33 mg) is considered one of the most nutrient-dense vegetables you can find, because of its levels of vitamins, minerals and antioxidants. Another leafy vegetable high in magnesium is spinach (74 mg). Both of these are great to add to your salad, along with the colourful Swiss chard (81 mg). The latter has dark-green leaves with a thick stalk that is red, green, white or yellow. It has an earthy taste and can add some colour to any dish. Avocados (27 mg) are high in oleic acid – a monounsaturated fatty acid that is linked to heart health. They are also a good source of dietary fibre, which plays a vital role in maintaining good health. 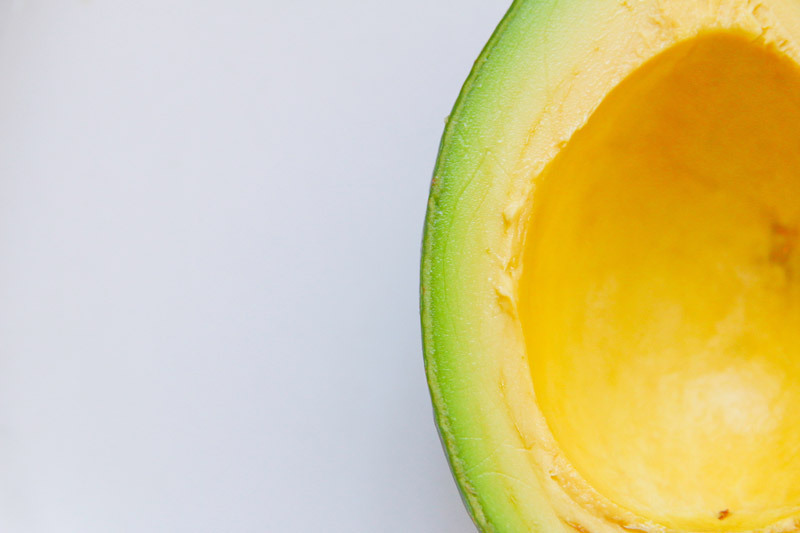 Not to mention, avocados are super versatile, great for all types of dishes from sandwiches, salads and guacamole, to brownies, smoothies, chocolate pudding and guacamole fries. Their creamy texture will complement almost any dish you can imagine. To make a rich chocolate ganache blend 1 avocado with1 tbs of raw cacao and 1 tbs of honey. The sea also provides great sources of magnesium foods. Tuna (50 mg) for instance is on the magnesium foods list. Let´s also add salmon (25 mg) as a good option here. Both are highly represented in sushi and maki rolls, so getting your extra minerals in for lunch or dinner should be a walk in the park. 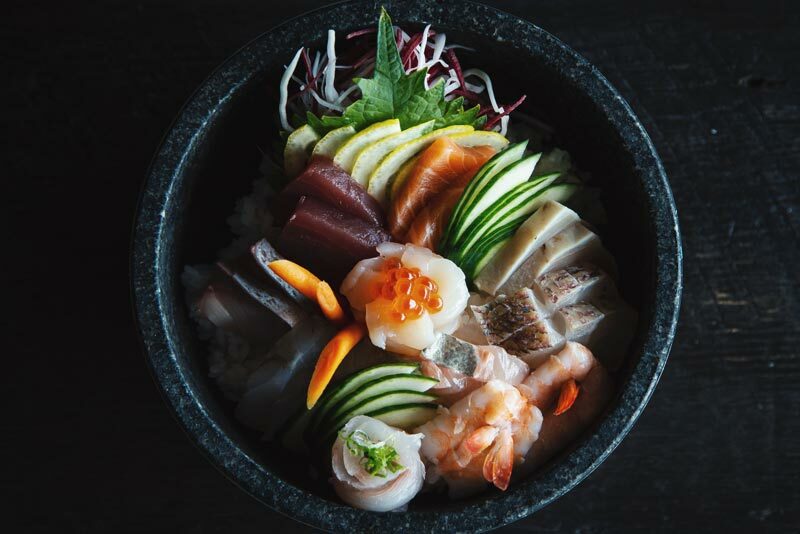 Another tip for including magnesium into your diet is to make seafood soup or paella, giving you a chance to add trout (30 mg), mackerel (60 mg), prawns (51 mg) and crab (25 mg). Herring (30 mg) and sardines (39 mg) are good alternatives too. Another very versatile magnesium food are bananas. Not surprisingly, they are one of the world’s most popular fruits. Bananas are perfect to add to any smoothie, homemade ice cream or fruit salad, and can easily be used as a base in cakes or toppings. 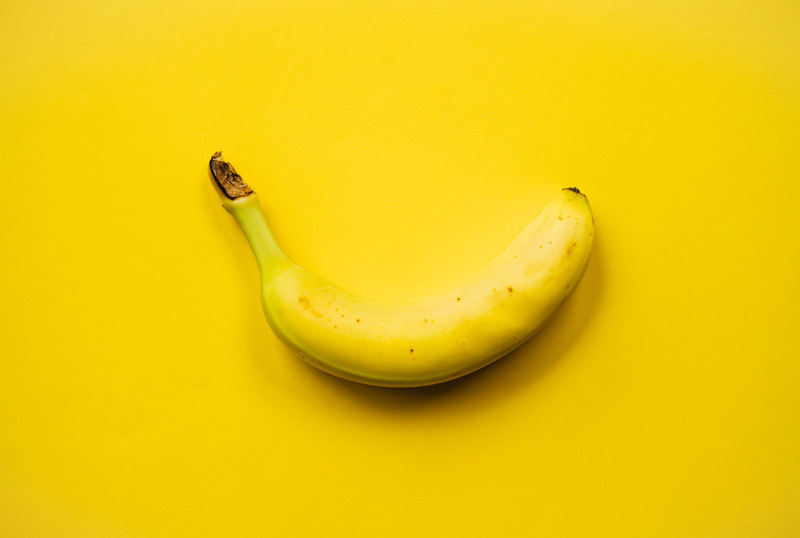 Bananas (35mg) are also the perfect go-to-snack before a workout with all their carbohydrates to boost your energy levels. Made from soy beans, tofu provides a great amount of protein to your plate in addition to magnesium. Adding tofu (78 mg) to soups and salads or even smoothies is a good way to get those proteins included in your diet. It works perfectly in Asian dishes too. Tofu is an obvious choice for vegetarians but plenty of meat lovers like it too. 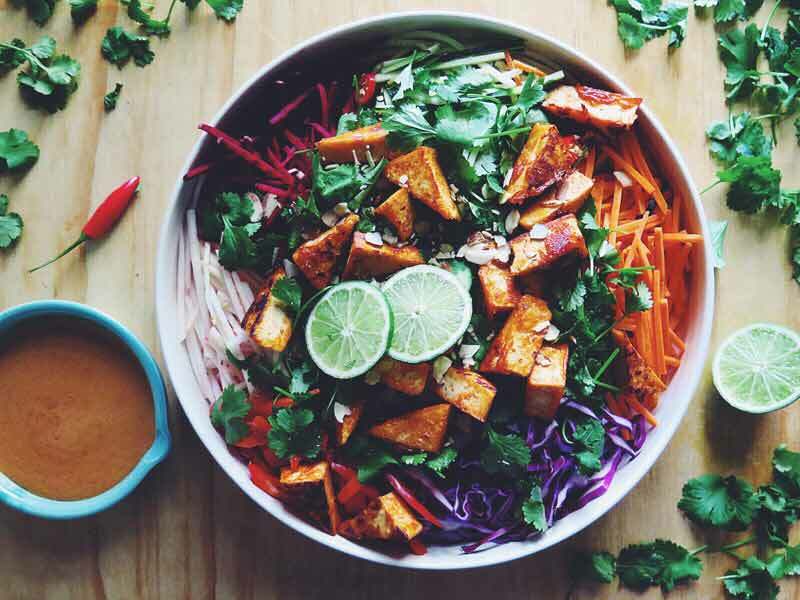 It does not have a distinct taste but soaks up other flavours really well, so try cooking it up with herbs and spices or give our chilli tofu salad with spicy almond dressing a try. Legumes are known to be dense in nutrients, and many are great magnesium foods. 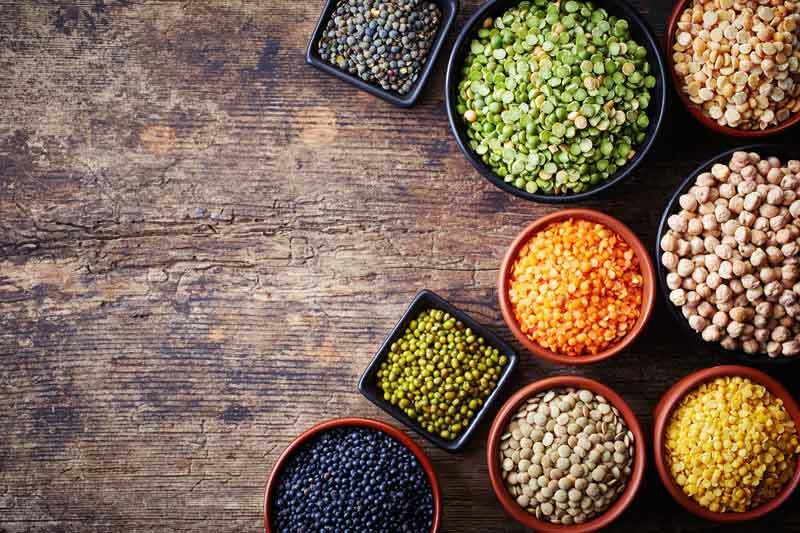 These include soybeans (230 mg), lentils (82 mg), chickpeas (27 mg), kidney beans (140 mg), and split peas (95 mg). There are now many variations of pasta, snacks and cakes available on the market that are made with legumes as the main ingredient. Chickpea brownies or soybean pasta is worth a try. Not only do these normally include some magnesium but they also provide you with good serves of protein. Including some of the above foods into your diet should help you on your way to the recommended daily intake of magnesium. It may also beneficial to reduce sugar, alcohol and processed foods, as these can affect magnesium absorption. Magnesium deficiency is not overly common in healthy people but if you are concerned that your levels may be low, see your healthcare professional.